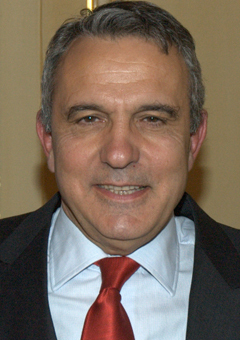 General Jean-Claude Allard is a Senior Research Fellow at IRIS. His main areas of expertize are security and defence policy, operational concepts and the uses of force, crisis management, military aeronautics. Graduating from the IHEDN, Jean-Claude Allard has occupied diverse roles within the central command of the French armed Forces (Centre opérationnel interaméees, Délégation aux Affaires stratégiques). He represented France in the US Central Command as well as in Kosovo. He was also appointed as the Head of Operations for the NATO Kosovo Force. General Allard specializes in the complementary use of air power coupled with traditional combat roles owing to his Directorship of ALAT (Aviation légère de l’Armée de Terre). He worked on the operational concepts definition and conceived new tactical doctrine for aerocombat. Jean-Claude Allard has authored numerous internal studies for the Ministry of Defence.